Lord North was born in London on 13 April 1732, the son of the future first earl of Guildford, Francis North, then 3rd baron, and the godson – some believed (probably erroneously) in fact the son – of the Prince of Wales. Educated at Eton and then Trinity College Oxford, in 1754 he was returned as MP for the family seat at Banbury. Despite a dull appearance, his urbanity, wit and good speaking voice, together with an attractive personal character and good connections, ensured a swift upward path to a Treasury post in 1759, an office he retained through three administrations. He took a leading role in the Grenville government's controversial response to the radical MP and satirist John Wilkes in 1763, and his position as part of an emerging ‘right’ was confirmed when he resigned on Lord Rockingham’s appointment as Prime Minister in 1765. Perceived by George III as a safe pair of hands after serving as Chancellor of the Exchequer under Pitt the Elder and Grafton from 1767, it was to North that the King turned as his new premier when Grafton resigned as Prime Minister (a term North never used of himself) in January 1770. North was an exceptionally conscientious first minister. Continuing simultaneously as Chancellor of the Exchequer, he helped establish budget day as a major date in the political calendar. 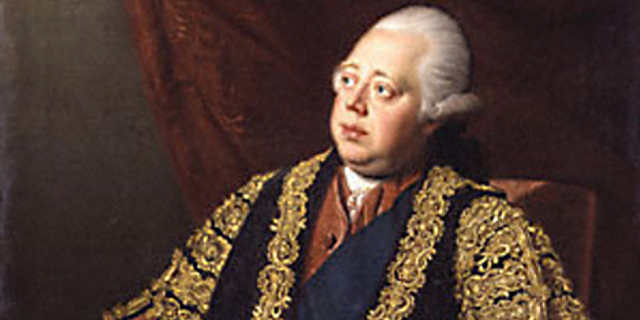 He maintained his supremacy in the House of Commons against a divided opposition, and such was George III’s confidence in his minister that in 1772 North became the first commoner since Robert Walpole to receive the Order of the Garter; the King also paid off North’s personal debts (around £16,000) five years later. North himself reduced the National Debt by some £10 million by 1775; but the impact of the American War of Independence meant that it soon rose by £75 million. Such talents, along with significant changes in the administration of India, Ireland and Canada, suggested that North would be recalled as a successful premier. That this was not to be was almost wholly the result of the developing crisis around taxation and constitutional issues in the American colonies that North inherited from his predecessors. North’s own instincts were for enforcement and confrontation rather than negotiation. When in 1775 he adopted a more conciliatory policy of allowing colonies to tax themselves to fund defence and administration, news did not reach America before war broke out. North was more responsible for the financing and defence of the war than for its unsuccessful conduct, but after the British defeat at Saratoga in 1777 his ministry was on the defensive against a reinvigorated opposition. After another British capitulation at Yorktown in 1781 he clung on only in the vain hope that George III would allow him to negotiate peace, but on 20 March 1782 he resigned shortly after a motion demanding an end to the war in America saw the ministry defeated in the Commons, and before peace was concluded. A final chapter came when North forged an unlikely alliance with his former opponent Charles James Fox to defeat Lord Shelburne’s government, the coalition effectively forcing itself on the King as an administration headed nominally by the Duke of Portland, with North as Home Secretary in April 1783. In December, however, the King dismissed his government, whose defeat in Parliament he had actively fomented. For a short period North was an effective critic of William Pitt the Younger’s administration from the opposition benches, but ill health encouraged a gradual withdrawal from public life, marked by some effective interventions in defence of the Anglican church and against the French Revolution. Shortly after succeeding his father as 2nd Earl of Guildford in 1790, North died in Grosvenor Square, London, on 5 August 1792. Copyright Arthur Burns. This article was produced as part of the No10 Guest Historian series, coordinated by History & Policy.